The sun is showing her face more and temperatures are slowly rising, which means it’s time to wave those winter flavours goodbye. I don’t know about you, but my taste buds definitely change throughout the year. When it’s cold and rainy I crave a warm bowl of cinnamon-y goodness in the morning. Then, the warmer it gets, I start wanting fresher things for breakfast. Right now my taste buds are in between that warm bowl of oats and smoothie bowls, and that is how I discovered coconut oatmeal. Coconut oatmeal still offers that warm bowl of comfort in the morning, but the more tropical flavours make it taste much fresher. The recipe is really quite easy, but I had to share this with you guys. It’s currently my go-to breakfast; it’s fast to make, nutritious, filling and delicious. What more do you want out of your first meal of the day? 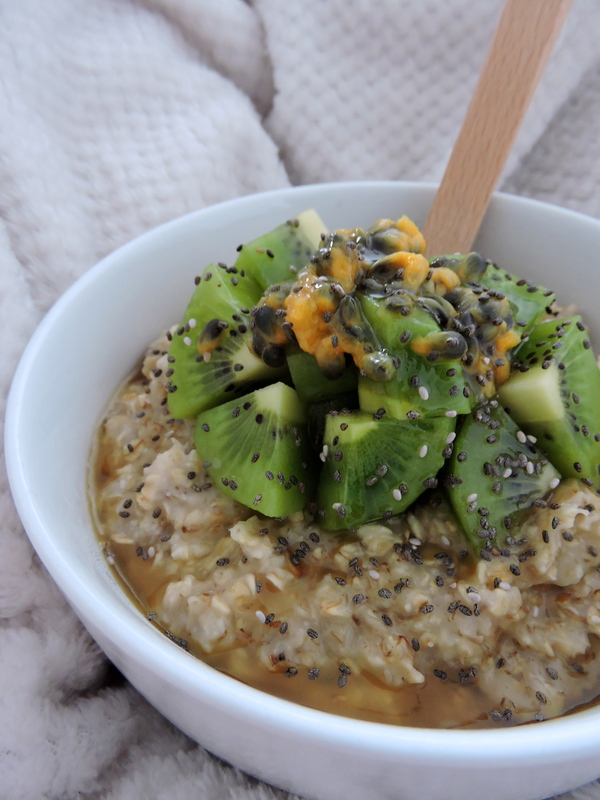 So here you have it: my recipe for tropical coconut oatmeal! Suggested toppings: fruit such as mango, kiwi, passion fruit or raspberries works great on this. Also add any seeds and nuts you want on top, as well as some extra sweetener. 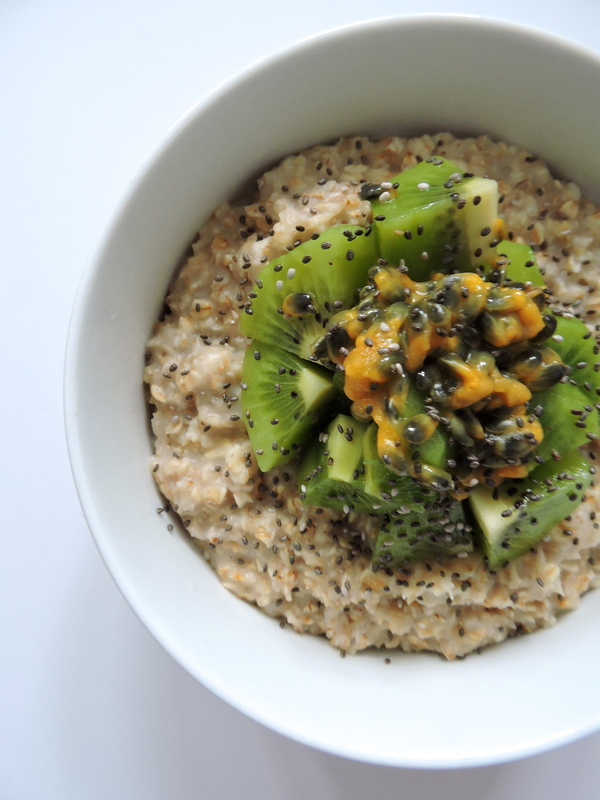 *depending on how creamy you prefer your oats, you might want to add a little more or less oats. Experiment to find your ideal texture. In a small saucepan, add you water and creamed coconut. Place onto medium heat and bring close to the boil. Once the water and coconut mixture is nearly boiling, add your sweetener and stir in. Once the sweetener has mixed in well, add in your oats. Leave pan on the heat for a few more minutes, stirring regularly. Remove from the heat and serve right away. Add any toppings of your choice and enjoy! I hope you enjoy this oatmeal recipe; let me know if you try it out!